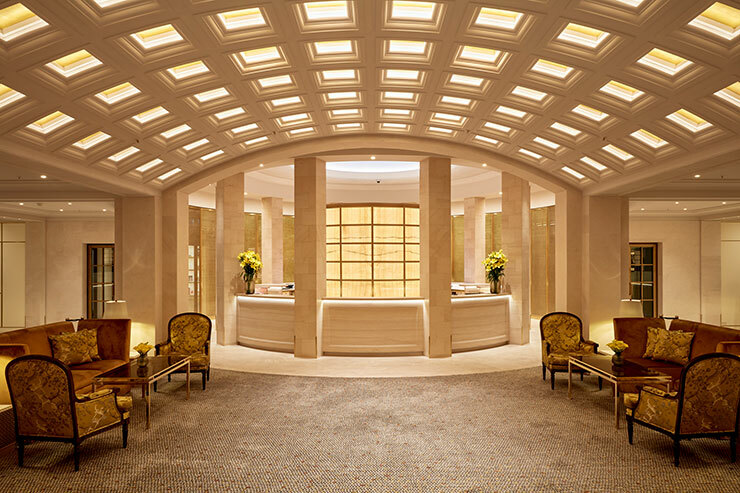 The Hotel Adlon Kempinski is one of the most prestigious and well-known luxury hotels in Germany. It is located at the Pariser Platz close to the Brandenburg Gate in the centre of Berlin. 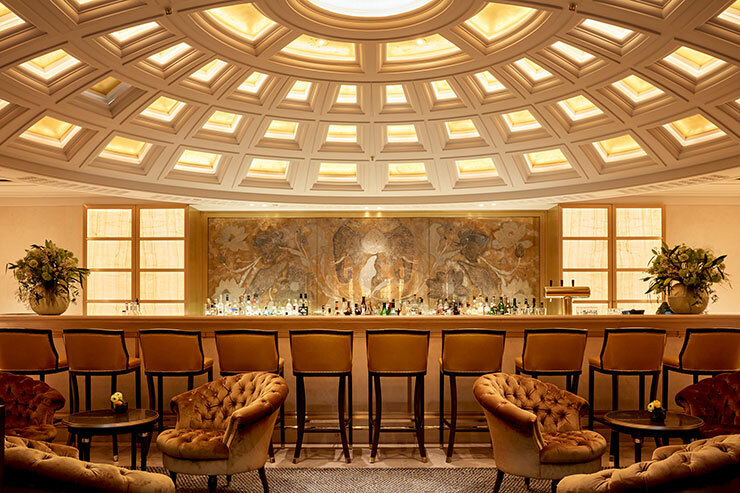 The Hotel reopened on the 23rd of August 1997, following the tradition of the famous original Hotel Adlon built in 1907 and destroyed by a fire in 1945. 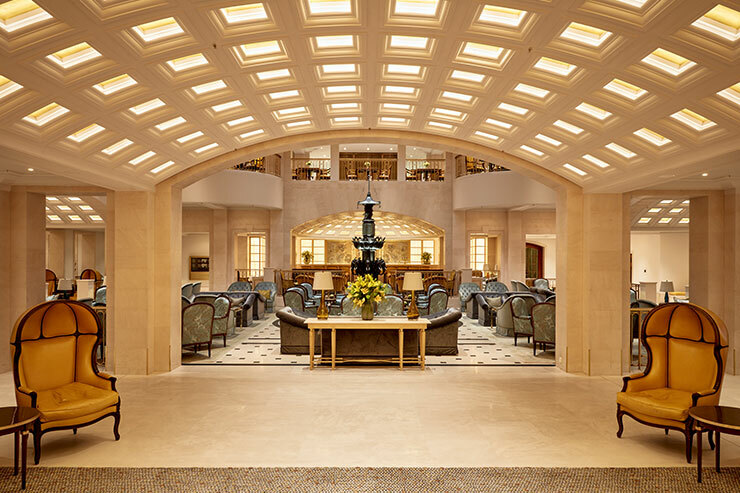 In 2016 the lobby and reception areas were modernised extensively with an investment of €6million. 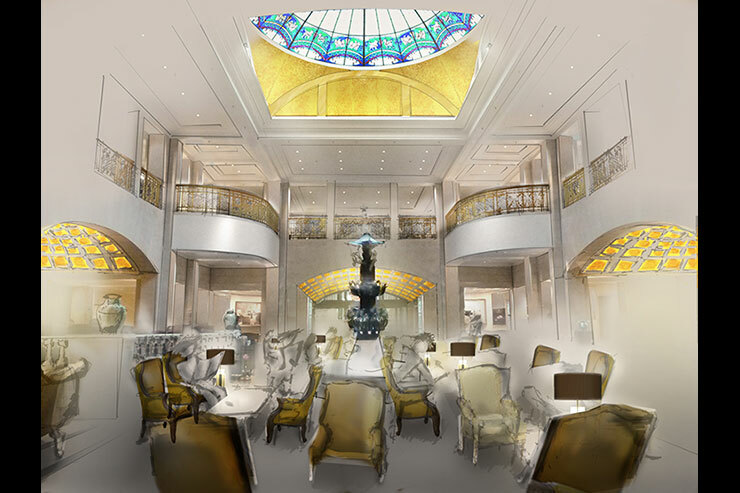 In the course of refurbishment the complete lighting system of the reconstructed hotel lobby has been renewed. The aim of the lighting concept was to support a clear functional hierarchy for the lobby, the adjacent reception, the bar and the breakfast areas, thus optically harmonising these spaces to create a clear overall spatial impact. Lighting with a very warm colour temperature and excellent colour rendering has been applied to highlight the new surface finishes and colour scheme for the lobby with its gold and silver tones. 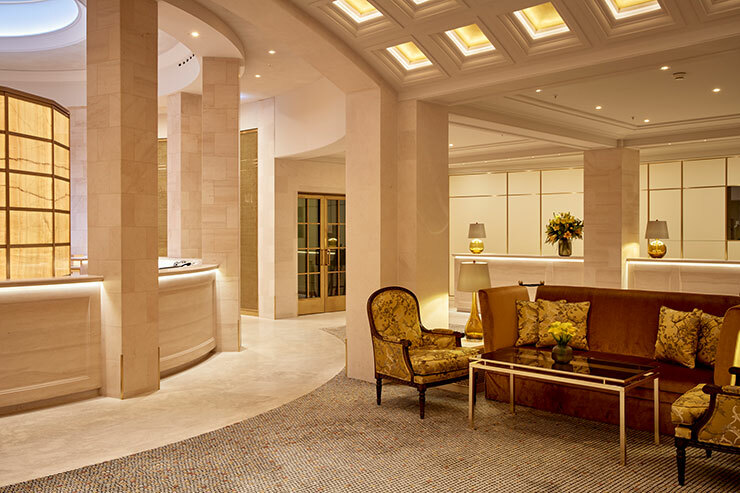 The interplay of surface and light creates a vibrant and light filled ambience in the lobby and the bel étage of the hotel. 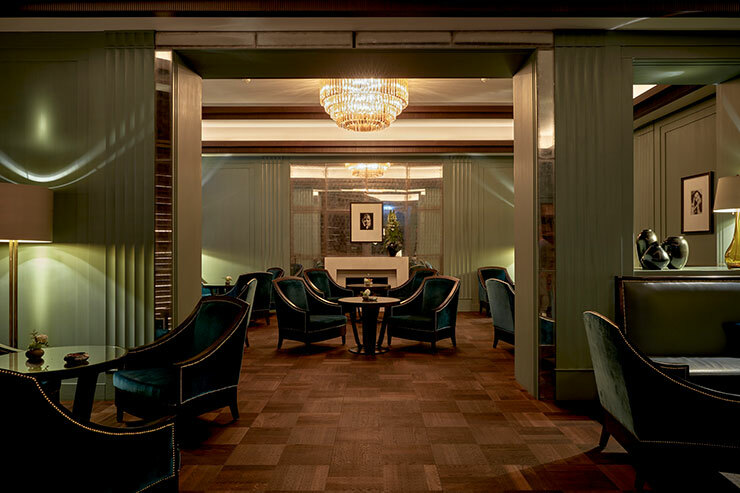 The key feature of the new lighting design was the transformation of the existing vaulted cassette ceiling arranged in a cruciform ground plan. The new lighting system allows for a wide range of lighting moods in the lobby and the bel étage. 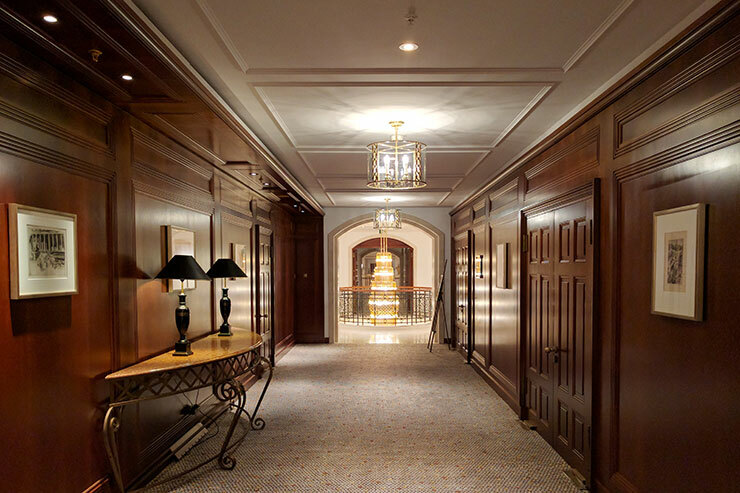 In each of the 400 cassettes covered with gold leaves, a daylight dynamic cove lighting has been installed. The colour temperature changes over the course of the day from 2700K to 1800K. One of the special features in the hotel is the famous elephant fountain, a present from the Maharadscha of Patiala from the 1930. 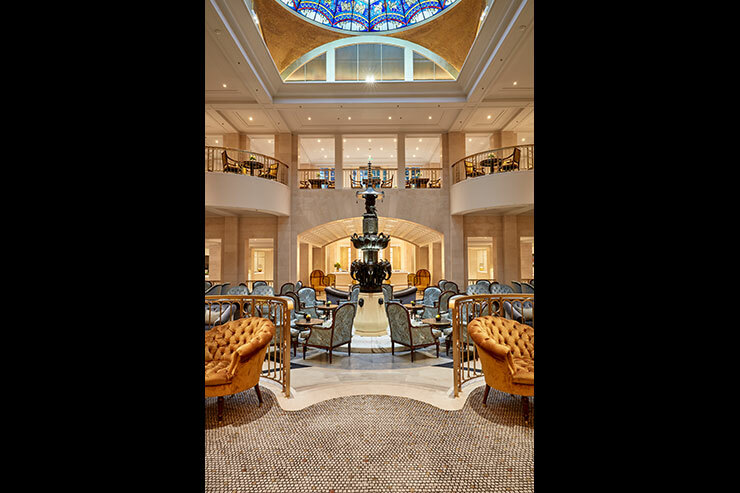 The dark mahogany sculpture is located in the centre of the hotel lobby directly below the central stained glass dome. The fountain sculpture rises from a round white marble fountain basin. The cascading fountain sculpture is illuminated from the water surface by in-ground uplights arranged in a ring shape around the fountain. In addition, the sculpture is highlighted by very narrow spotlights in a cool colour temperature located at the base of the glass dome to mimic the effect of natural daylight. The highlighted sculpture is a focal point visible from the very entrance of the hotel. The corridor in the ground floor and bel étage connecting the conference areas with the lift lobby are fitted with custom design crystal chandeliers designed by the Jagdfeld Design interior architects, and produced by the famous glass manufacturer workshop ’Venini’ in Venice, Italy. 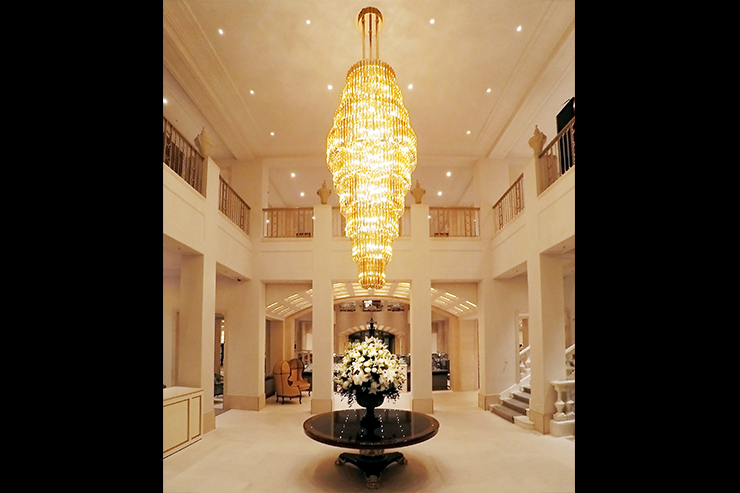 The Chandeliers have a height of up to 3.5-metres and extend over two floors. They connect the ground floor with the bel étage to form brilliant centerpieces in a series of small atriums along the ambulatories of the ground floor and the bel étage. 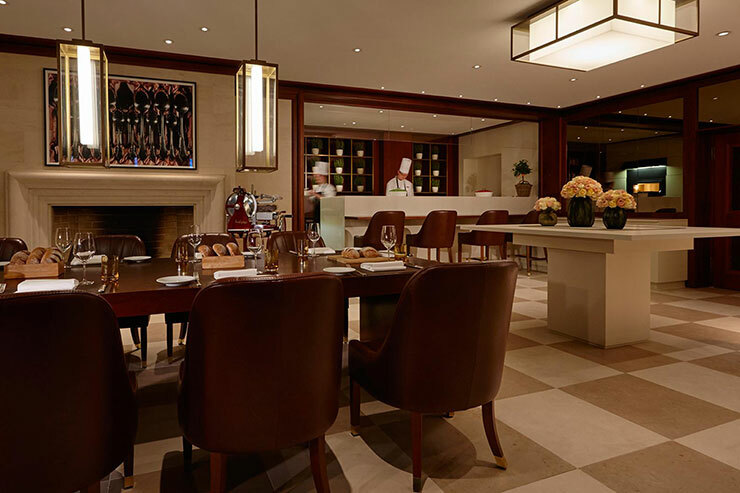 The hotel bar and reception are accentuated by backlit onyx walls framing these areas with a very warm light atmosphere.